First, what is Beschuit? It’s kind of toasted bread, but crunchy and dry like a cracker, always round in shape… but no sorry, but there is no exact literal translation for this word into English… it’s something that is (I think) unique to the Netherlands and doesn’t have an exact counterpart elsewhere in the world. 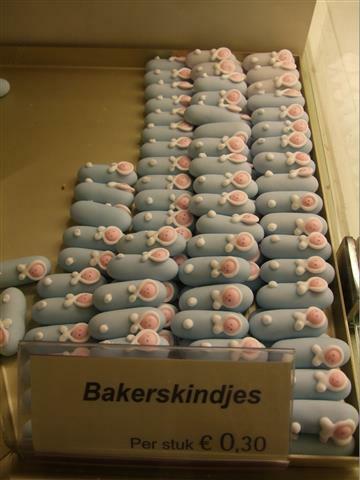 “Muisjes” in Dutch literally means ” little mice” but no they are not mice ! 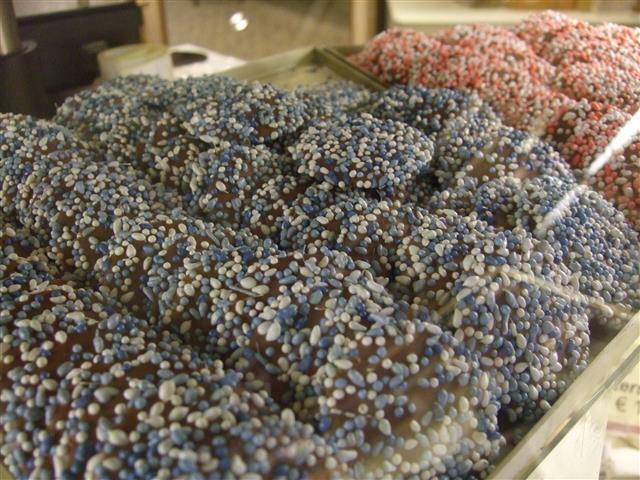 They are little sugar coated aniseeds, and these days they come in three colours… white, blue and pink. Some say that the ” mouse” association came about because when the aniseeds are dipped into the sugar mixture a little mouse-like “tail” sometimes forms around the stalk. Aniseed is known to stimulate milk production in nursing mothers and was believed in the 17th Century to give protection from spirits from the mother and baby so maybe that’s why Aniseed is the traditional flavour. 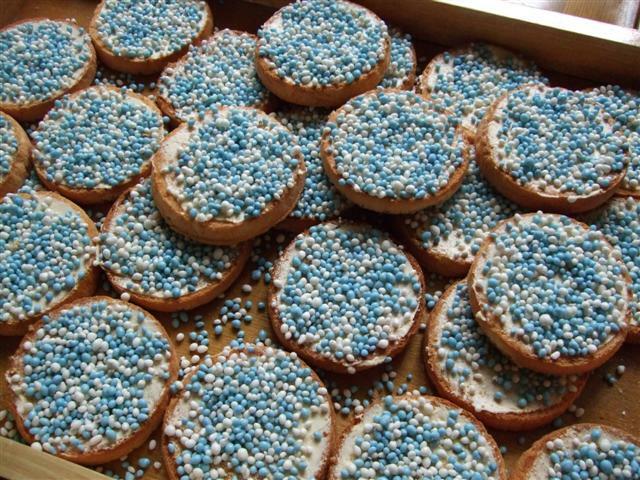 Dutch tradition is that when a baby arrives, visitors who come to see the new infant are treated to “ Beschuit met muisjes”, and this is where a Beschuit is smeared with butter or margaine and then either pink and white ( for a girl) or blue and white ( for a boy) muisjes are spread on top . 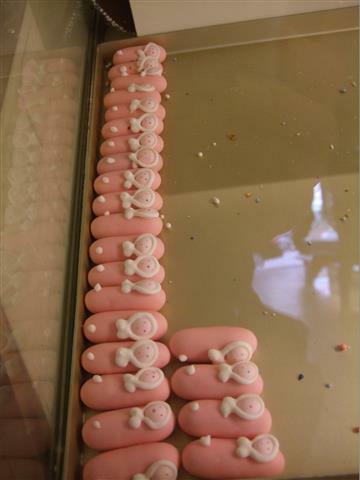 For convenience today’s packets of muisjes come with the pink and white or blue and white colours already mixed together. Even during the Middle Ages it was already an established tradition that new mothers would entertain visitors who came to see their infants with something special to eat and drink. The birth of a child was well celebrated and therefore the whole neighbourhood would be included. Very soon after the birth the visitors would start to stream in. 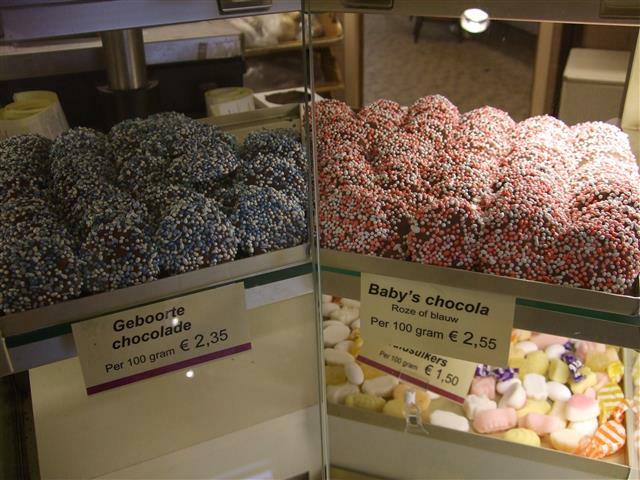 The local children were treated to something especially delicious that the new arrival had “ brought with them” It is not known precisely when the tradition of Beschuit met muisjes began but various sources point to the Middle Ages and around the 17th Century in particular. 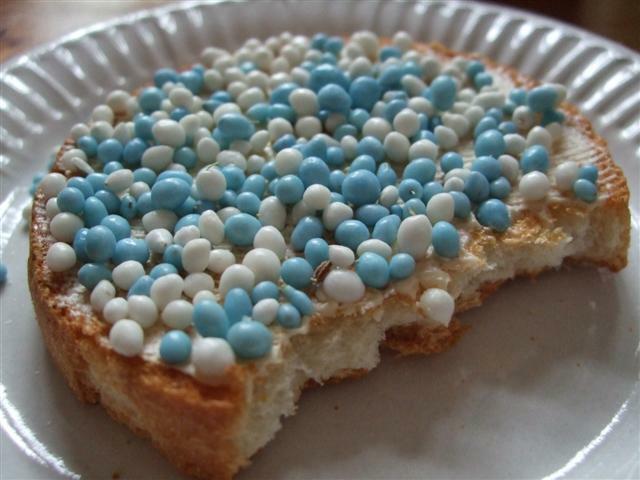 Earlier Beschuit was used alone in white as a festive treat, and was a luxury that only the wealthy could afford. 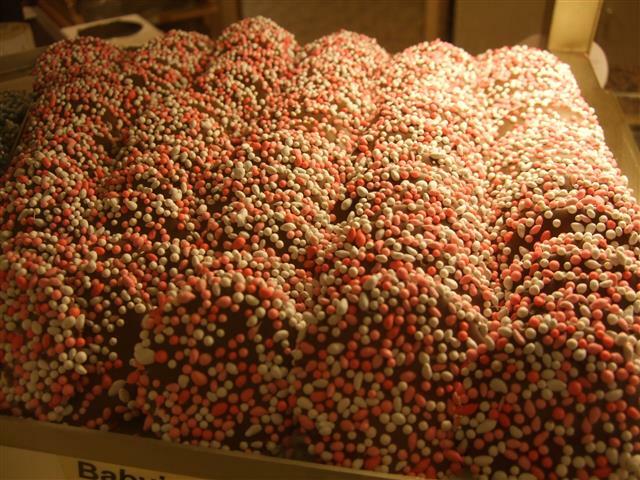 A thick sugared beschuit was a real treat that celebrated the birth of a child. For commoners there was sugared white bread as a more affordable alternative. so what you are being served here today however, is the real Beschuit met muisjes !